Not that many of my guests are really into birds. They are, afterall, here to see Africa's big mammals. 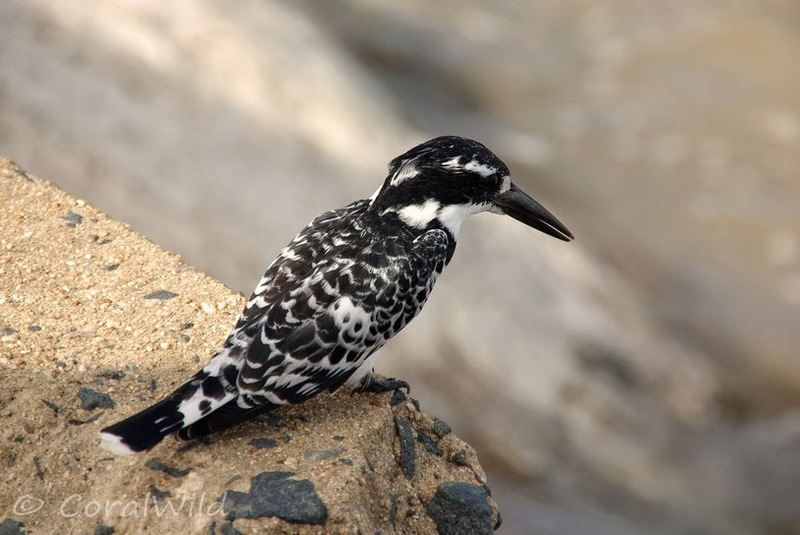 Most visitors will notice our more colourful species, specially the iridescent Glossy starlings, the aquamarine blue of a Lilac- breasted Roller's wings or the great "banana" beak of the Yellow-billed Hornbill. But generally, I have to look for some other excuse to stop if I see a good photo opportunity with a bird. Fortunately, many of our common birds associate with other "more interesting" animals, or are active in lovely landscapes, so I can grab a few quick snapshots whilst attention is diverted elsewhere. 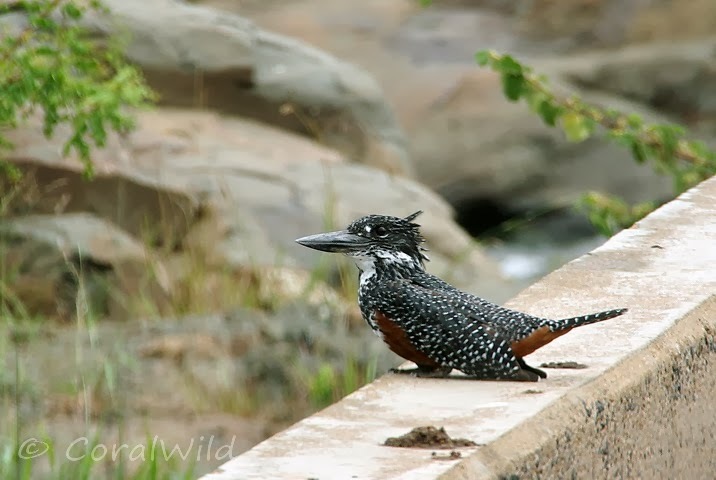 We've had great "big 5" sightings in the last 3 weeks but in-between I've also been able to get some reasonable photos of the more common bird species in Kruger. 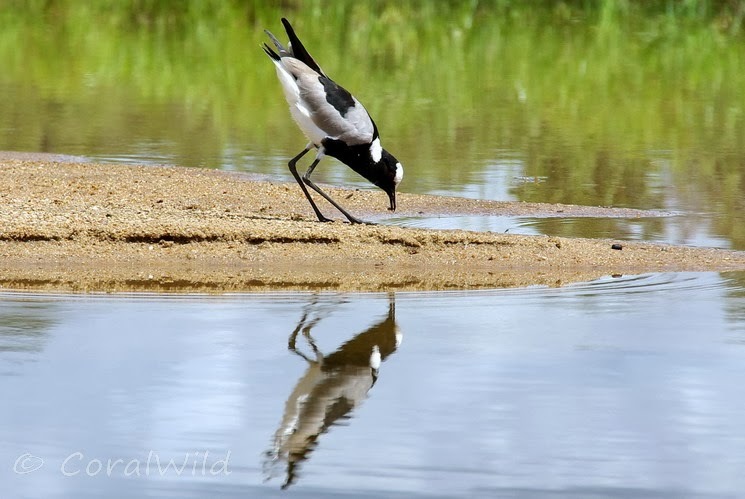 Whilst crossing causeways and low level bridges, we stop to look for crocodiles, hippo and just to enjoy the sound of rushing water, and if I'm lucky some kingfishers, lapwings, herons and other water birds. 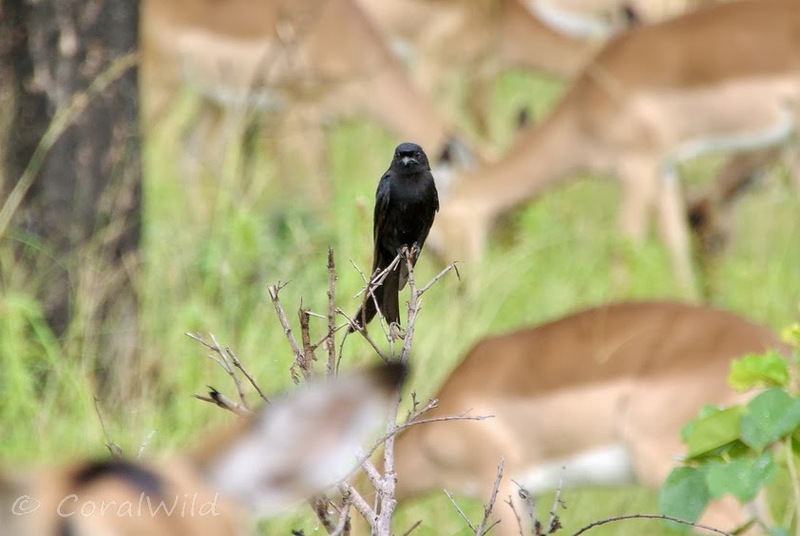 When encountering herds of herbivores whether they be impala, rhino or buffalo there are almost always a few of these birds "hanging" around. 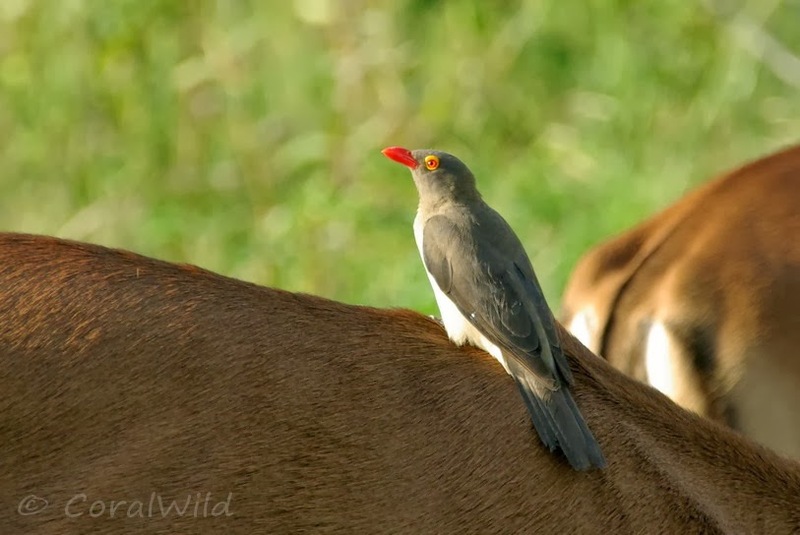 and perched high near the roadsides, searching for grasshoppers, beetles and other juicy tidbits are these agile masters of the hunt. 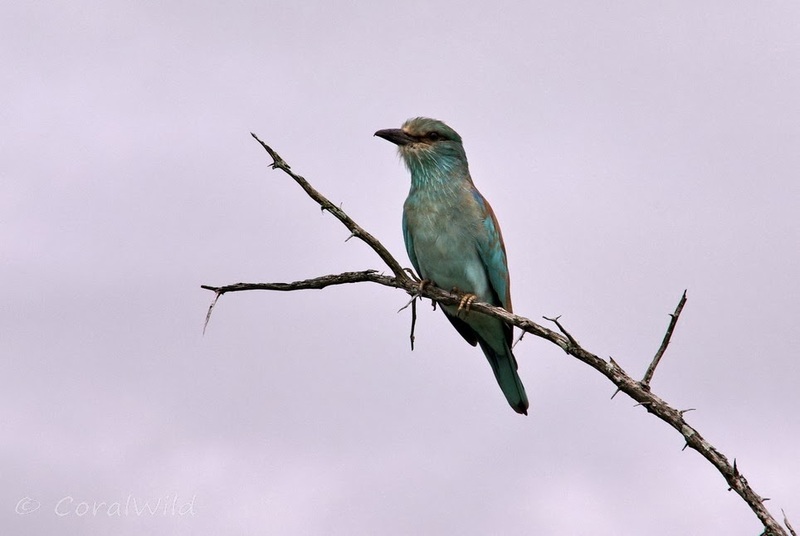 Both the Red backed shrike (above) and the European roller (below) are very promininent during late summer. They are feeding intensively to build up their fat reserves before the long migration back to their northern hemisphere summer homes. 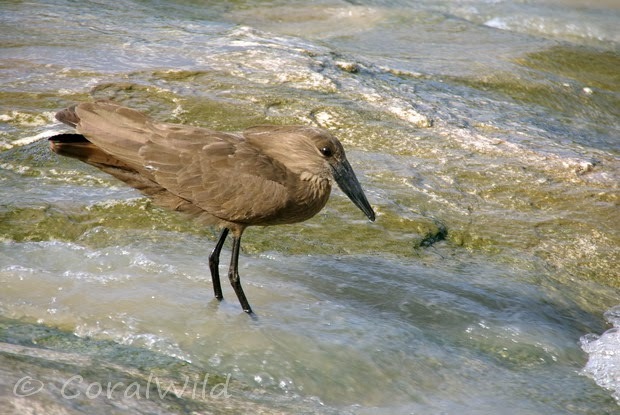 Hi Coral .. love all the shots - and these are now special - it's great being able to see the birds and have a brief description .. brings them to life. Just lovely to see your photos .. Thanks for visiting & commenting Hilary. 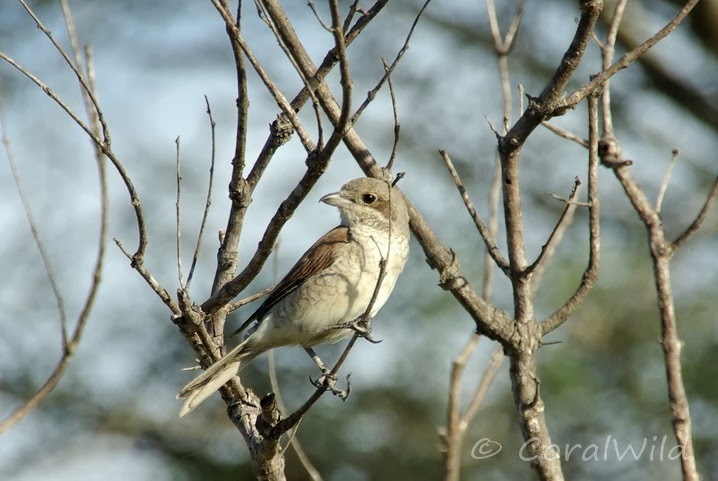 Yes there are so many birds to talk about - more species of them than mammals! As with many countries our weather is rather strange & haphazard - flash floods only a few kilometres from farms that have had no rain for weeks! What's the matter with these people not wanting to see all the lovely birds. 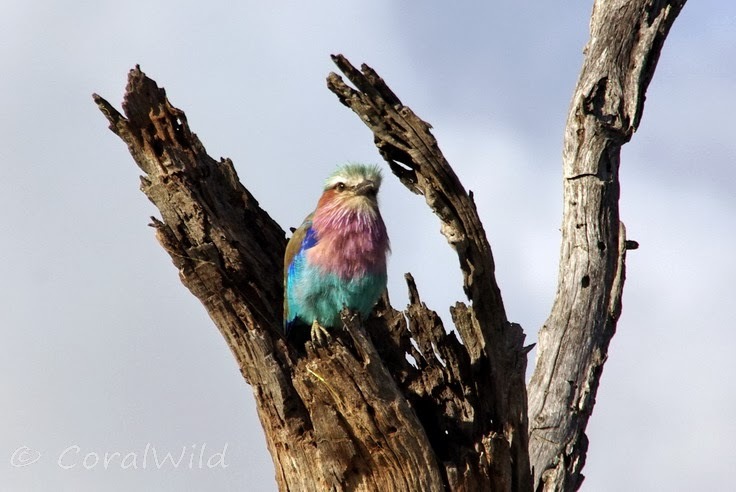 Some days' game drives seemed all about the birds. 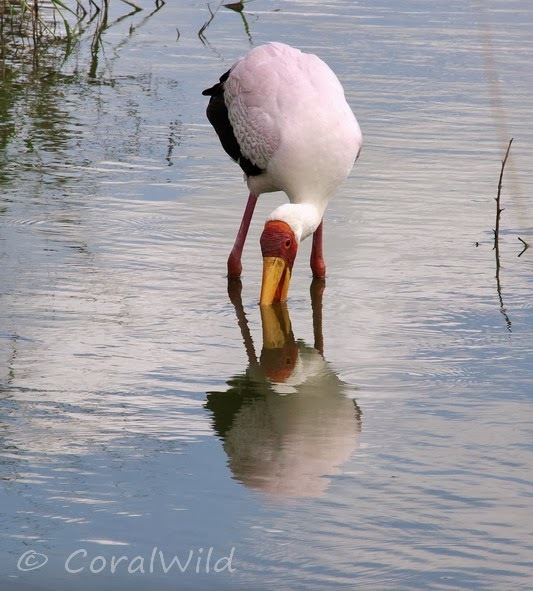 Yes Gaelyn, it is sad that not everyone "see's" our beautiful birds - but to be quite honest, on our shorter 3-4 day safaris there is not much time to stop for the birds anyway, if we are trying to find the big mammals!